A national sight loss and disability charity has found that 75 per cent of children with no history of eye care have Autistic Spectrum Disorder (ASD). They are estimating over 33,000 children with ASD in England’s special schools could be missing out on routine eye care. The alarming statistics come as MPs debate a motion on World Autism Awareness Week, following a bid from Cheryl GIllan MP, Conservative MP for Chesham and Amersham. It follows SeeAbility’s 2015 Children in Focus Campaign launch, which revealed nearly four in ten children attending special schools in England have no history of eye care. After an additional year of sight testing behind them, the charity now says a large proportion of that group are children with ASD2. With over half of children tested by SeeAbility having a vision problem, their sight testing model targets children at the highest risk of sight problems and brings eye care to the more convenient and familiar place of school. There are added benefits like providing glasses – including specialist frames – sharing strategies to help children get used to the new experience of wearing glasses and helping teachers to understand what a child can see in school. 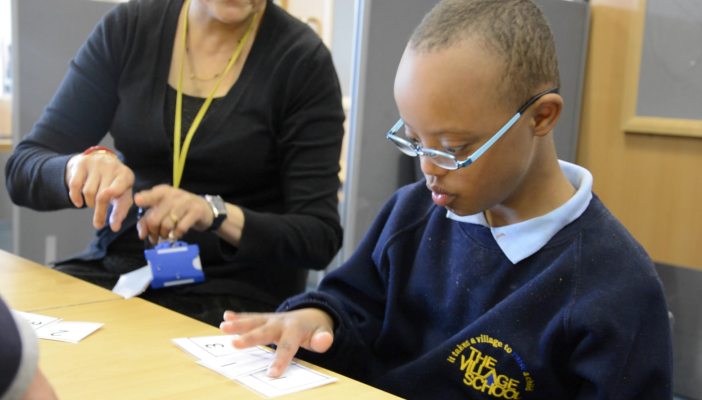 SeeAbility is calling on the government and NHS England for a national programme to provide routine eye care for children in special schools across England. Because children with learning disabilities can be reliant on hospitals for more routine eye care or check-ups, the charity believes that their model could help ease some of the pressure on the NHS. “The simple fact is, while there are areas of good practice, this is not happening on a national scale. The SeeAbility sight testing model meets a recognised health inequality and reaches children who are unable to access community eye care and their right to a free NHS sight test. We would like to see a national programme that works for the child and builds the importance of vision into their education, giving them greater independence, a better education, and saving the NHS and care services money in the long run,” says Lisa Donaldson, Clinical Lead of the Children in Focus Campaign.